Here is the article from the April 4, 2019 article in the New Times SLO describing the UCCE Master Food Preservers and Master Gardeners' programs and classes. Quick tips from UC Cooperative Extension helping to keep the focus on the festivities and not the ailments! Groceries: Keep fresh produce separate from meats in your shopping cart and grocery bags. If not returning home within an hour, keep perishables in a cooler. Refrigerate items promptly, keeping foods in appropriate containers to prevent drips and leaks. Kitchen prep: Wash your hands, work surfaces, and utensils with hot soapy water between each food prep step; never intermingle uncooked meats and ready to eat foods on the same surfaces. Preparing foods: Learn the danger zone of food temperatures: Foods kept at room temperature more than 2 hours, can reach between 40°F - 140°F where harmful bacteria grow rapidly (the danger zone). Keep cold foods cold (below 40°F) till serving time and keep hot foods hot (above 140°F). 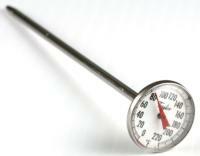 Invest in a food thermometer! This is the only reliable indicator that your food is cooked to a safe temperature. Desserts: It’s important to not taste any uncooked cookie dough, cake batter, pie crusts, or any bread dough made with flour. 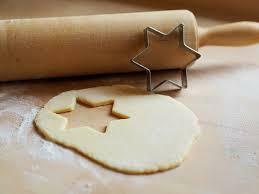 Flour and raw eggs can be contaminated with bacteria that can cause foodborne illness. These products should be cooked prior to consuming. Even though they may taste good, don’t be tempted to try them! Serving: REPLACE empty platters – don’t add fresh food to empty platters; several hands may have taken food from the dish, which has been at room temperature. Do not let food stand at room temperature for more than 2 hours. Finally, store those yummy leftovers in small portions in shallow containers (to cool quickly); eat or freeze within 3 to 4 days – within 2 days for gravy. Holidays are a time for joy, fun, and family. 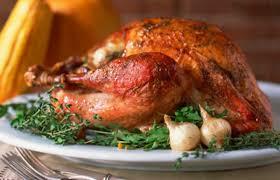 Don’t jeopardize your holiday festivities by using unsafe food practices!